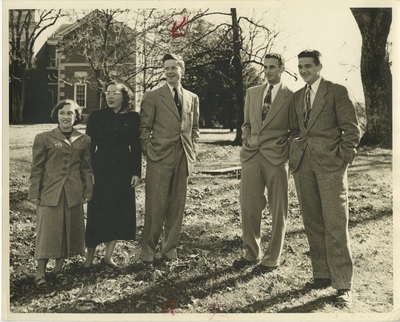 Junior class officers for '50 are standing outside for a group photo. On the photo is a mark on where to crop it. This photograph can be found in the 1950 LMU Railsplitter, page 33.